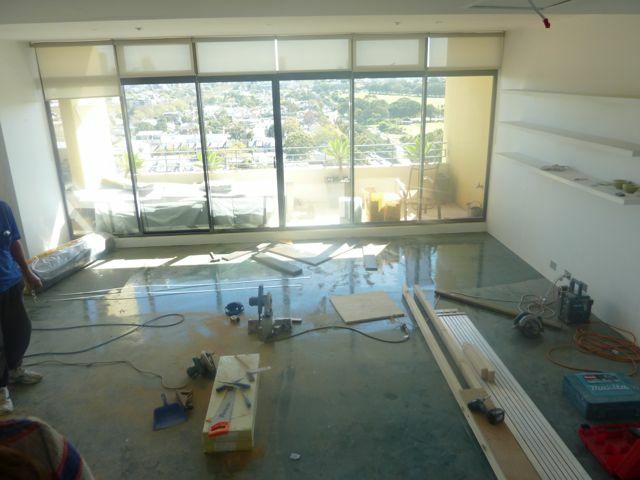 A few months ago, we started working on a Penthouse in Redfern for one of our clients. Her brief to us was that she wanted a Kelly Hoppen inspired interior. For those who are unfamiliar with Kelly Hoppen, she is an interior designer based in the UK who has had a history of designing apartments for celebrities, working with residential and commercial buildings, airlines and yacht interiors, as well as a range of products for the home, fashion and technology. Alexandra Kidd accepted the brief and has begun working on the project to make a beautiful home that will become an Alexandra Kidd Design interpretation of an existing interior style. The use of luxurious fabrics, elegant furniture and classic finishes have been at the forefront of the creative inspiration for this project. We are working with the great team of builders from Profile Property Group and the building work is in its last stages of completion. The statement Herringbone black floors are about to go in and we wanted to share the construction progress with you so far. For more images, you can visit our photo gallery and keep and eye on our Facebook and Twitter pages for updates on our projects. We look forward to sharing this beautiful Redfern Penthouse project with you as it progresses.